Hearthstone's next expansion, Rise of Shadows, is out tomorrow, so Shacknews' card analyses hit the Lightning Round. 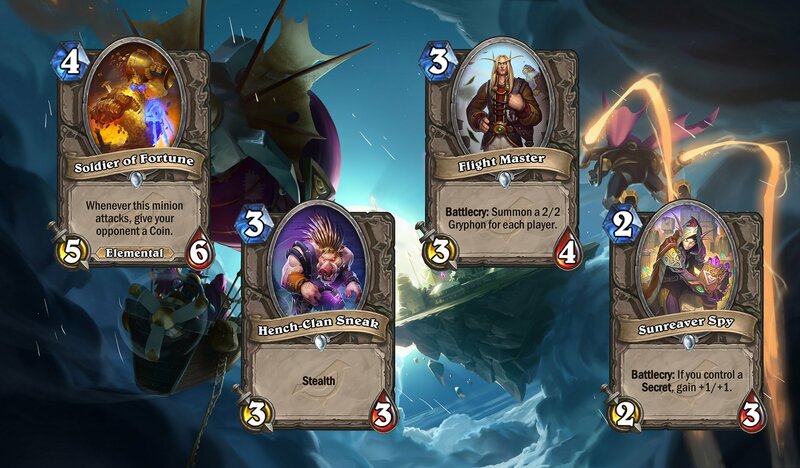 Hearthstone is days away from officially kicking off its new Standard year. The Year of the Raven is ending and will be replaced by the Year of the Dragon. The new Standard year starts with the arrival of 2019's first expansion, Rise of Shadows, meaning a whole new set of cards are about to take Hearthstone into a brave new world. Taunt. Deathrattle: Destroy a random enemy minion. Give a minion "Also damages minions next to whomever this attacks." Taunt. Deathrattle: Summon a 0/5 Vault Safe with Taunt. Notes: The Magic Dart Frog is going to be a Turn 2 play in almost every Mage deck, thanks to its ability to pick off minions with every spell. With Obsidian Statue rotating out, Convincing Infiltrator fills a very desirable void. 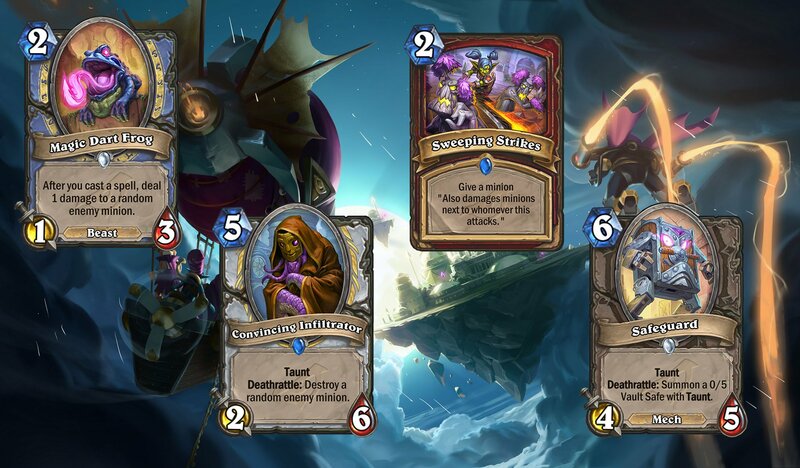 Then there are two cards that will fit in beautifully with Warrior decks running Dr. Boom, Mad Genius. Sweeping Strikes ensures some of those Rush mechs can take out more than one target, while Safeguard can slide into almost any deck running Taunts. Not only is it a good stopper, like the old Sludge Belcher, but because both the Safeguard and the Vault are mechs, they can both be magnetized with Zilliax. It's just a winner in every way. Twinspell: Give your minions +1/+1. Silence a friendly minion, then summon a copy of it. Give your minions "Deathrattle: Summon a 1/1 Murloc." Whenever this minion deals damage, gain that much Armor. 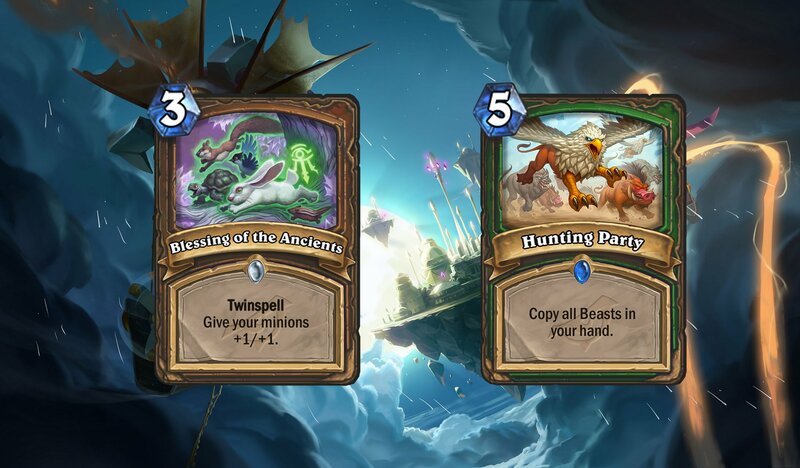 Notes: There's a lot to like here for existing meta archetypes, with Hunting Party sliding right in to Hunter decks running Scavenging Hyena. 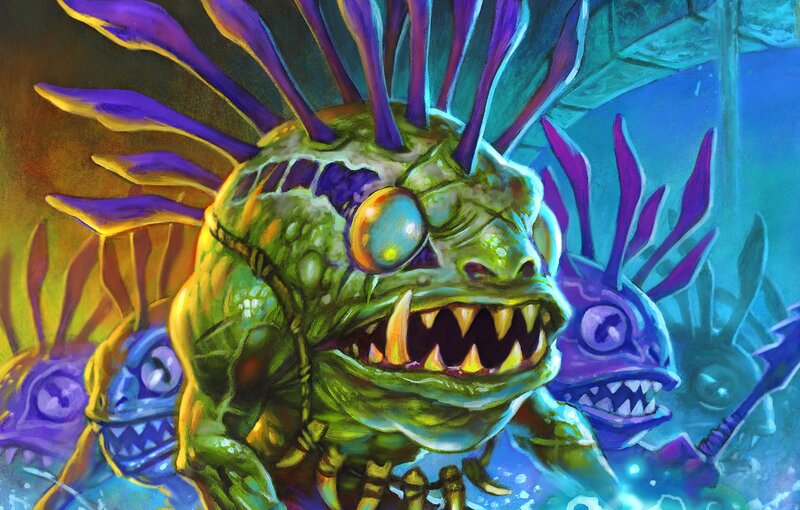 Soul of the Murloc could be a big boost to Elemental Shaman decks or any other Zoo Shaman deck that's looking to get Bloodlust off the ground as a win condition. 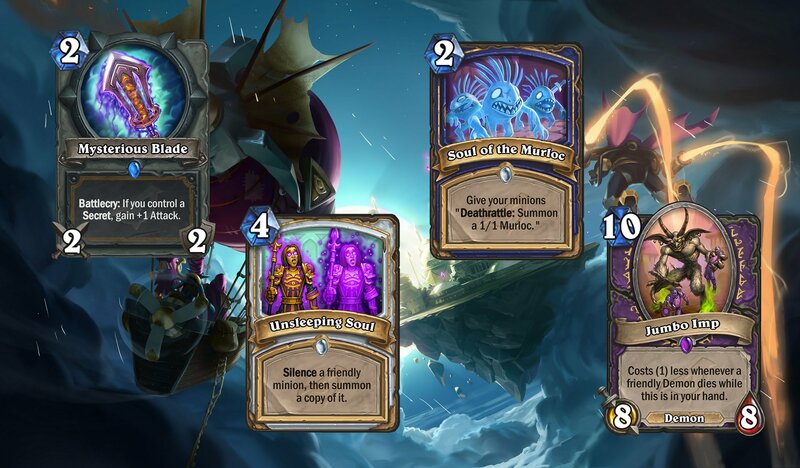 Then there's a slew of new options for what's going to be a resurgent Silence Priest archetype. The Silence Priest will be able to get off to a strong start, with Unsleeping Soul also having the benefit of duplicating vanilla minions with no drawback. Spell Damage +3: Your spells cost (1) more. Deathrattle: Return a random friendly minion to your hand. It costs (2) less. At the start of your turn, gain Spell Damage +2. After this minion survives damage, summon a copy of it. Deathrattle: If this minion has 4 or more Attack, resummon it. Battlecry: Gain +1 Attack for each spell in your hand. Notes: There are some good cards here that might fit into a few meta decks, along with a handful of potential sleepers. 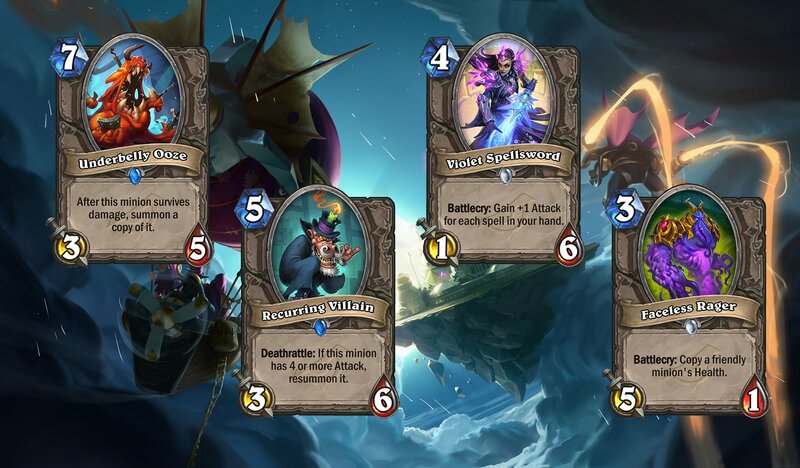 Recurring Villain could be a much better card than anybody thinks, just because there are a lot of tools out there to buff up a minion's attack. I had to think hard about Whirlwind Tempest, but the Shaman's Windfury spell means there's potential for anything to get Mega-Windfury. The last thing to note here is that the Faceless Rager could be the best of the Ragers to date. Priests running Divine Favor might have something dangerous on their hands. 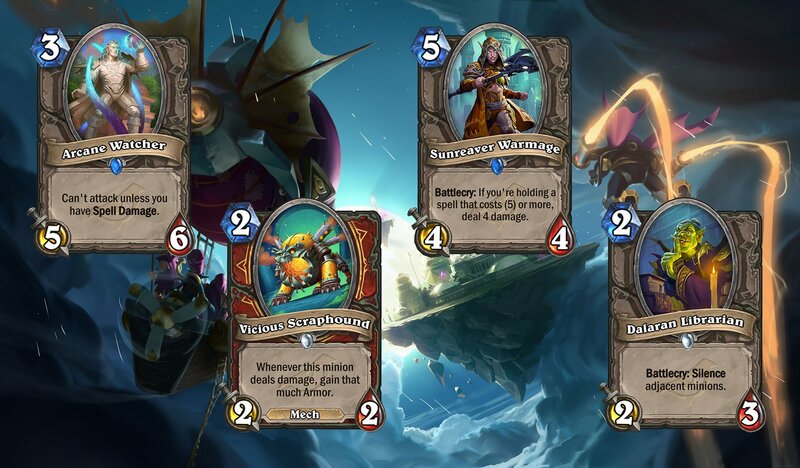 Notes: The big Murlocs are going here, mainly because the Un'Goro expansion is rotating out to Wild. 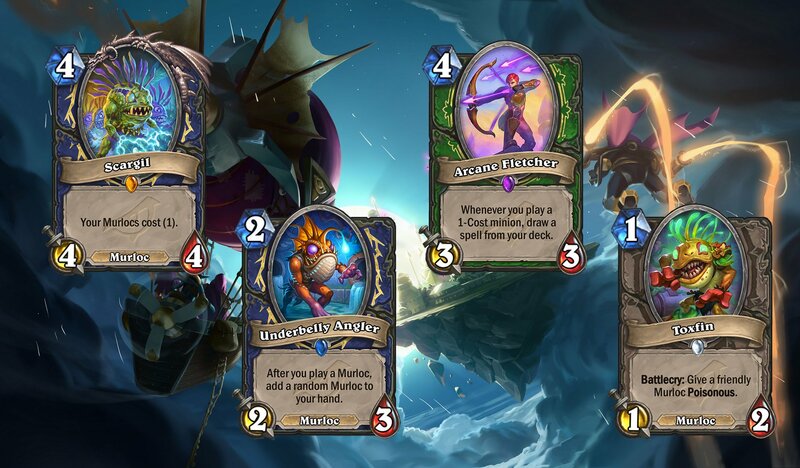 Un'Goro was very good to Murlocs, between Rockpool Hunter, Primalfin Lookout, and the Unite the Murlocs Shaman Quest. 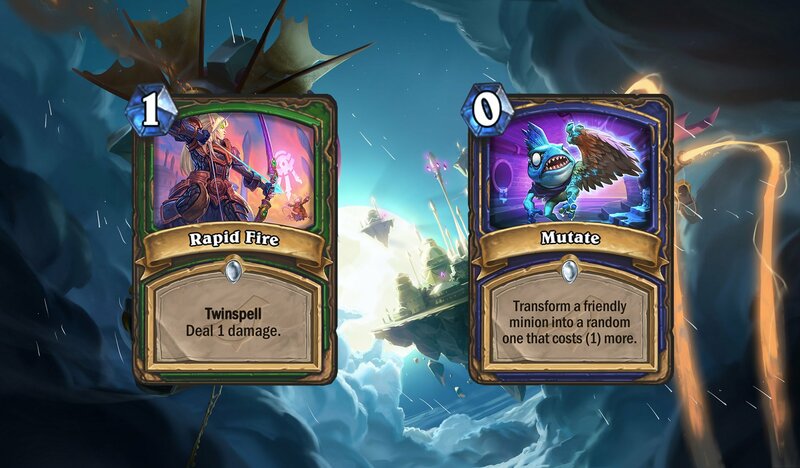 Scargil will work beautifully with the Wild Murloc cards, potentially setting up big OTK combos with Old Murk-Eye and Everyfin is Awesome. Arcane Fletcher is going in this slot, largely because Quest Hunters might find some good use for it. Whether that pans out remains to be seen. Transform a friendly minion into a random one that costs (1) more. Taunt. Deathrattle: Deal 3 damage to all minions. Taunt: Has +2 Attack while you have no other minions. Notes: There are some strong Taunt options to be found off of various RNG effects. 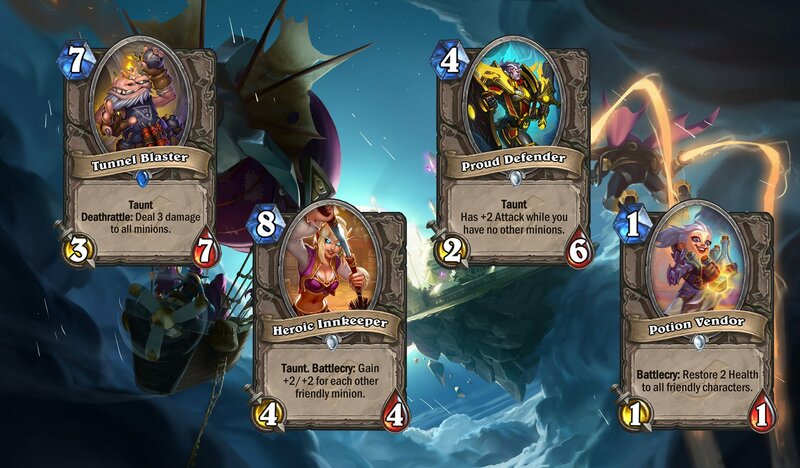 Sadly, Stonehill Defender is off to Wild, but there will be other ways to discover these cards and they'll be good finds each time. Whenever this minion attacks, give your opponent a Coin. Battlecry: Summon a 2/2 Gryphon for each player. 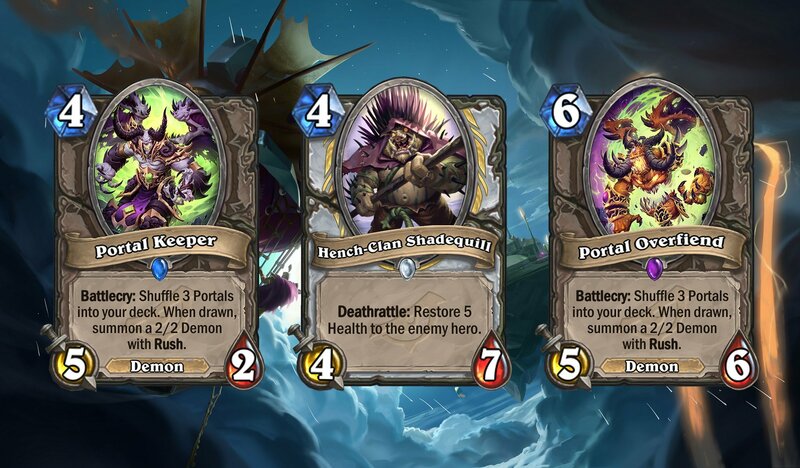 Notes: Portal Overfiend and Portal Keeper could be very strong in Arena play, thanks to the assistance that those 2/2 Demons could provide. Burly Shovelfist is going to be a very helpful big body that can spring into action immediately. Violet Warden is a nice power creep version of Archmage. Sunreaver Spy's vanilla stats mean its Battlecry will be a nice bonus, should it ever apply. Give your Demons +1 Attack, Deal 1 damage to all enemy minions. Battlecry: Fill each player's board with 1/1 Imps. Notes: I racked my brain trying to think of a good use for Darkest Hour. 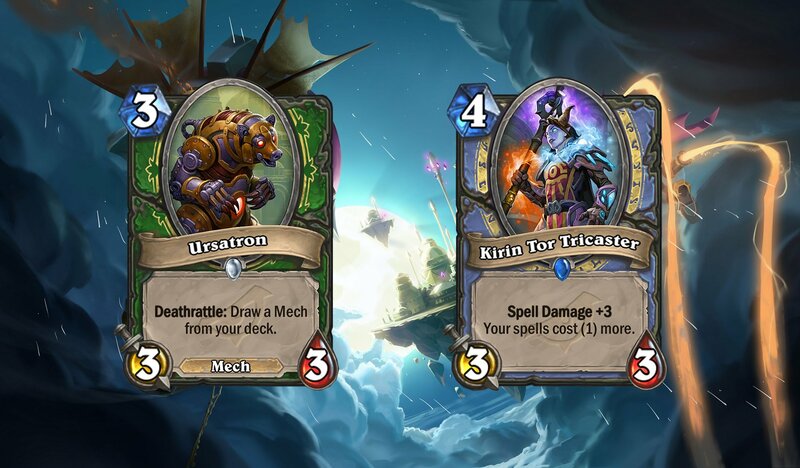 My only idea was for Mecha'thun decks, but with Cataclysm rotating out, it doesn't work there either. It's almost a dud on every conceivable level. That's all, folks! 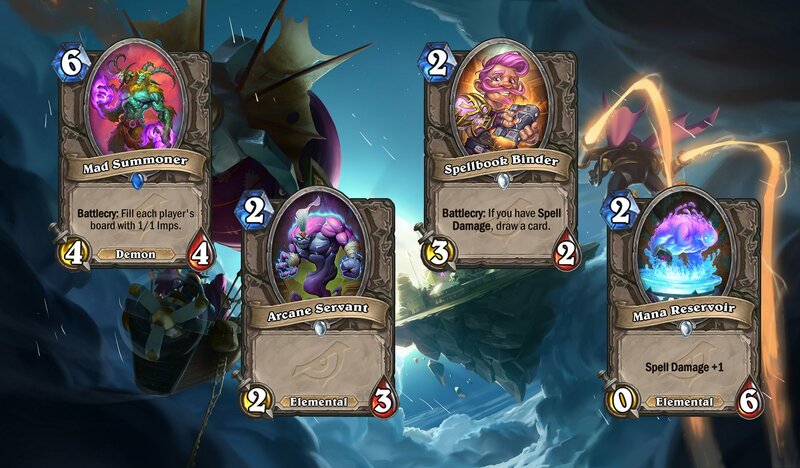 We've broken down every card in the new Hearthstone expansion. All that's left is to play it. 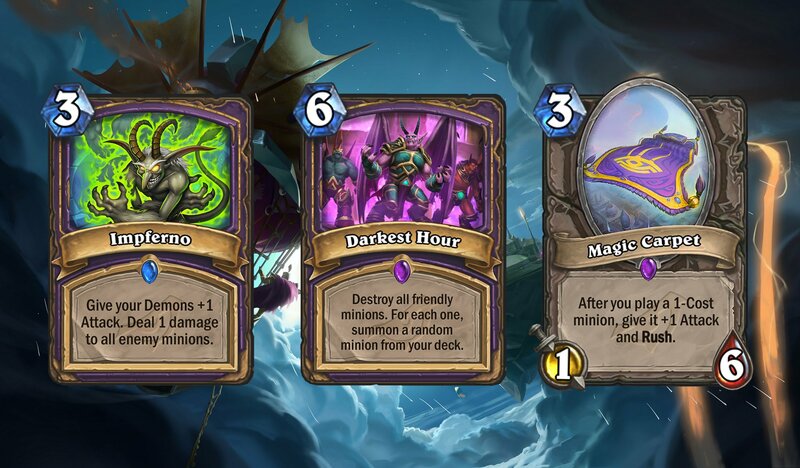 Hearthstone: Rise of Shadows is set to release this Tuesday, April 9.